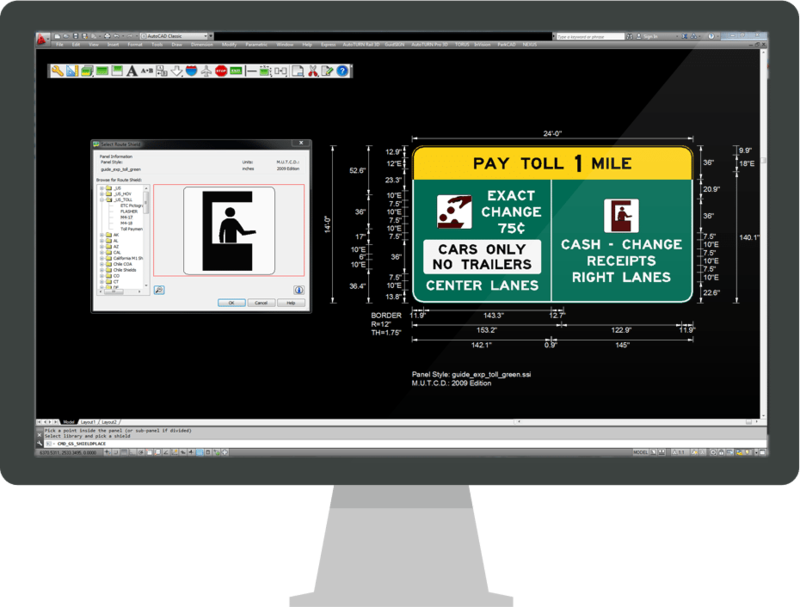 Traffic engineers use GuideSIGN™ – with the latest MUTCD symbols/panels, FHWA highway font libraries, intelligent object dimensioning, and innovative sign template creation tool – to design traffic and highway signs right to standard and ready for production in just minutes. The latest GuideSIGN® version sets a new standard for flexibility and versatility. Virtually any highway and roadway sign can be created according to guidelines making this release the most powerful to date.